Anyway, the Barielle rep had me choose a few things from their online shop (Which arrived in under a week, might I add! Amazing!) and I am going to share one of them with you today! Here's what they sent: a gigantic scrub, some delightful hand cream, a few beautiful polishes, and a matte (topper) polish that can be worn alone or over color. Today I am going to show off the pink polish you see in the bottom left. It is called Straight A Coral. On the website, the description of this polish I feel is probably mixed up with another one. It is referred to as "creamy neon green". Clearly, it is not green. Neon though, oh boy is it ever! This week for Twinsie Tuesday, we'll each be sharing our nail care routines with you. 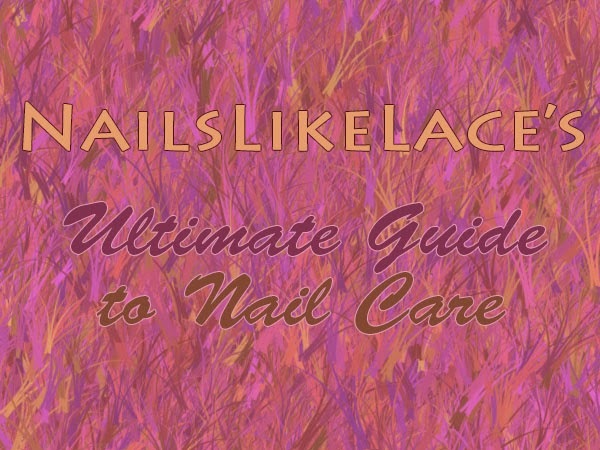 What I'll be showing you today is not my everyday nail care ritual, but more of an ultimate, comprehensive medley of tips and practices that will take care of everything from whitening to moisturizing, the whole shebang. Today I have a pretty neat product from Born Pretty Store to show you! I'm not sure what exactly to call these, though. I'd say they fall somewhere in the "rhinestone" category maybe? I know these are not for everyone. They are 3D and stick up off the nail quite a bit, but I love them! I love how they look a lot more than I thought I would! My base for this mani is the same set of nail stickers from BPS that I posted yesterday. Born Pretty Store is selling some new nail strips and I have a set of them to share with you today! If you're like me, you easily get bored with the same ole, same ole. I wanted to wear a set of the Sally Hansen Salon Effects in Tweed-le Dee, but wanted to do something different with them. So I got into my untrieds box and randomly pulled out Milani Beach Front to wear along with them. For today's mani, I started with a three-coat base of China Glaze White on White, then created a glitter gradient on top with KBShimmer Snow Much Fun. I was contacted by the company oNecklace and asked to write a review of one of their jewelry pieces. I don't wear jewelry very often, but I thought this was a really cute product, so I was sent a sterling silver name necklace, and had it customized with my daughter's name and her birthstone. The prompt for today was to create nails inspired by one of your family members. One of my favorite color combos, especially for nail art, is red, yellow, and blue: the three primary colors. I just love how they look together. They're so bold and just look really neat! I also got a special request to do Superman nails. So I combined the two in this mani. Whenever I get into a nail art rut or am uninspired (or know I'll be busy and unable to paint my nails for a span of 3+ days), I always resort to nail strips like the Sally Hansen Salon Effects. They are super easy, quick, and don't require any tools or much work. I found a few sets of these strips on clearance, and even though I'm not crazy about most of the patterns I got, they were a steal for $2.50 USD and I knew I'd eventually be able to use them. Since starting my job, I have even less time to paint my nails, and often go Tuesday through Thursday with the same mani, which although is very strange for me, I have come to terms with. Last weekend, I was in one of these nail art ruts and decided to just wear a set of Salon Effects for the week to get by. The set I went with is called Tri-bal It On. Since January is cervical cancer awareness month, I decided to do a teal mani in honor. I went kind of random with this one. I wanted different combos on each nail and divided them into quarters. Once I was done, though, I decided it needed just a tad more, so I added the final center square in another shade of teal.